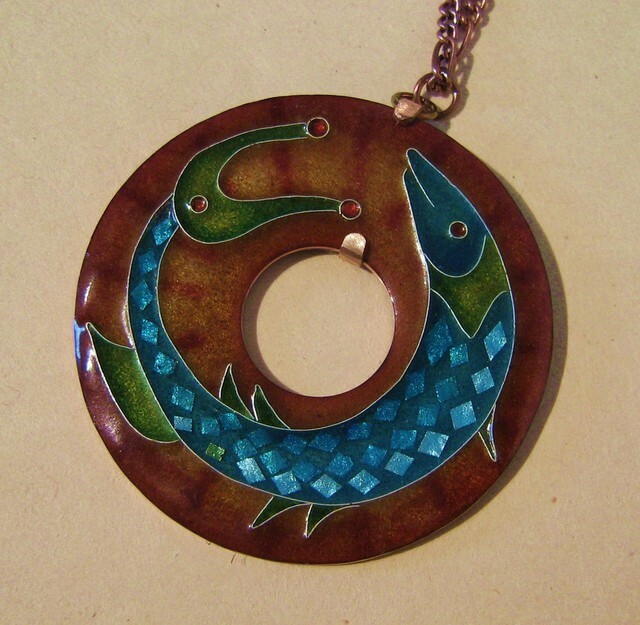 Cloisonne is one of the best known enameling techniques, but also one of the most challenging. It is challenging on every level: design, wire bending, colour choices, firing and finishing. This class is designed for those who have some experience, and want to take their skills to the next level - but I will introduce beginners to this art as well. Having access to a kiln outside of class is recommended but not necessary. We will focus on design approaches, colour choices, execution, using foils, firing techniques and finishing. Each student will bring to class a design that has been pre-approved in consultation with me. The class will be designed to meet the individual needs of the student. I can help you design a project that can be finished within the time of the class - or you can bring a complex problem that you might need to finish at home. Consultations are included in the price. Most materials will be available in class, included in the price. Extra materials can be purchased. FUNDS ARE NON-REFUNDABLE EXCEPT IN EXTREME CIRCUMSTANCES.